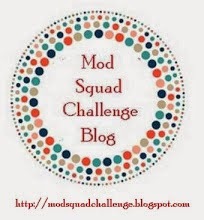 I made this card for The Mod Squad Challenge. The theme is Easter. Sparkle N Sprinkle is the sponsor this week. 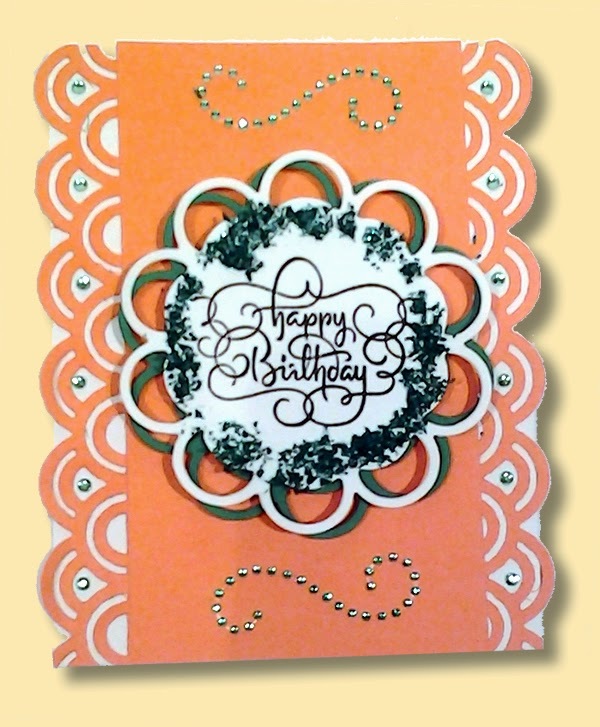 My second card for the Mod Squad Flower challenge. For the background I used watercolor paper, sprinkled on a little Olive Brushos ans spritz with pearlized water (homemade) Believe it or not the background is just the Olive...look at all the color. I love these Brushos. They work the same as Bisters but you get more product and colors with Brushos. 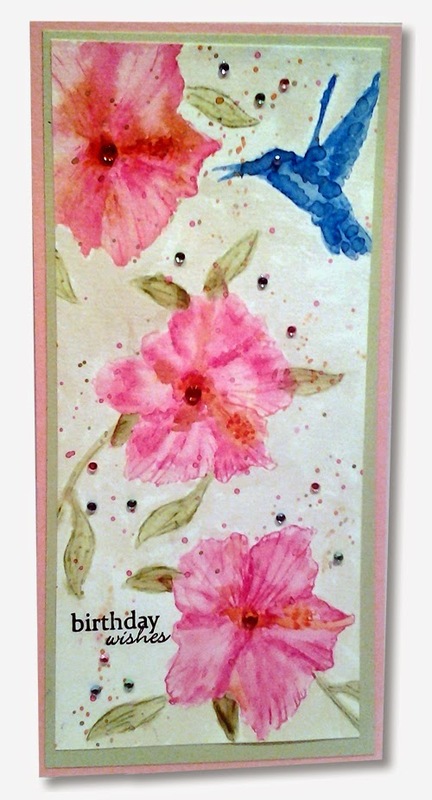 The flower is watercolor paper as well and watercolored with Distress inks. The background was to vivid so I toned it down with a Bokeh technique...then trimmed most of it off LOL. Matted all on Pure Luxury card stock, added burlap and frame. 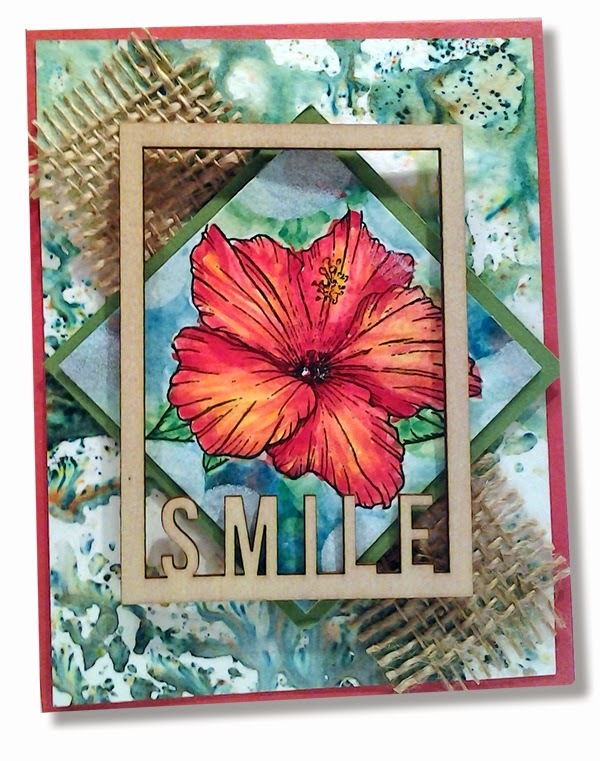 The challenge this week at the Mod Squad Challenge is to use a flower as the focal point. 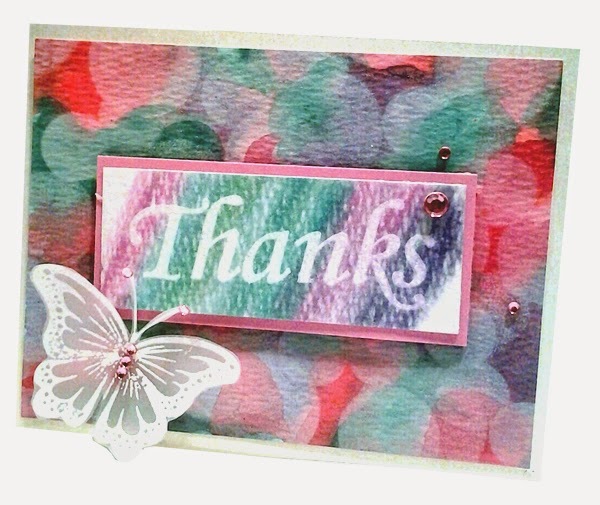 The sponsor is Melanie Muechinger so I used her stamp set. Every thing is watercolored then splattered. I have been wanting to do this technique for awhile now. I finally did it. 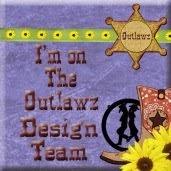 I made this card for The Mod Squad Challenge which is to make a background. 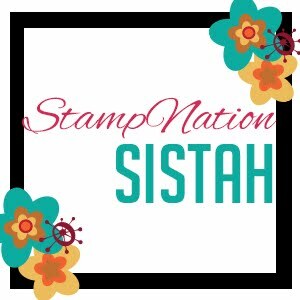 Be sure to go check it out as their is a grab bag of stamps and goodies as a prize! 2. 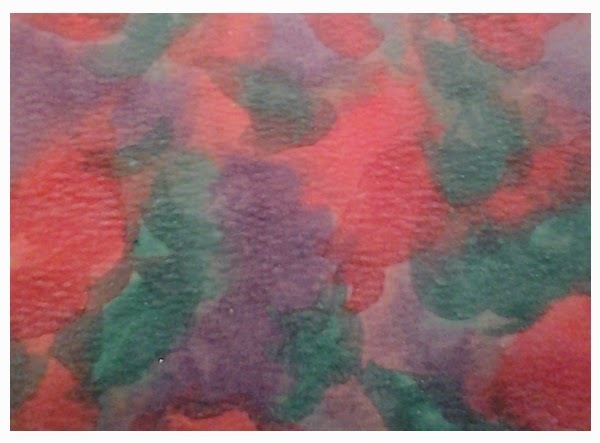 Rub 3 different colors of Distress ink (Concord, Barn Door, Evergreen Bough) on my work mat and spritzed with water. 4. 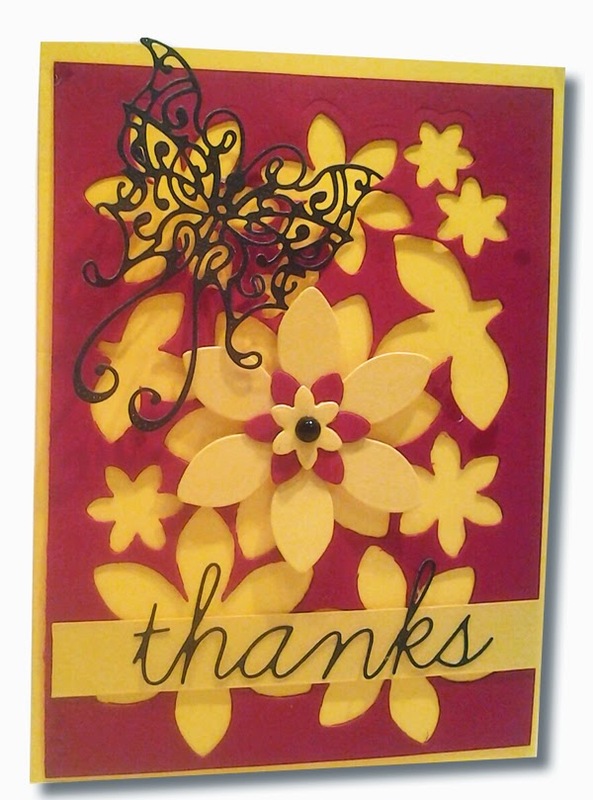 Use a stencil with various size circles or sponges. I made cut a stencil on my Cameo (my friend Susan actually made the file). It had large, medium and small circles in a random pattern. 5. 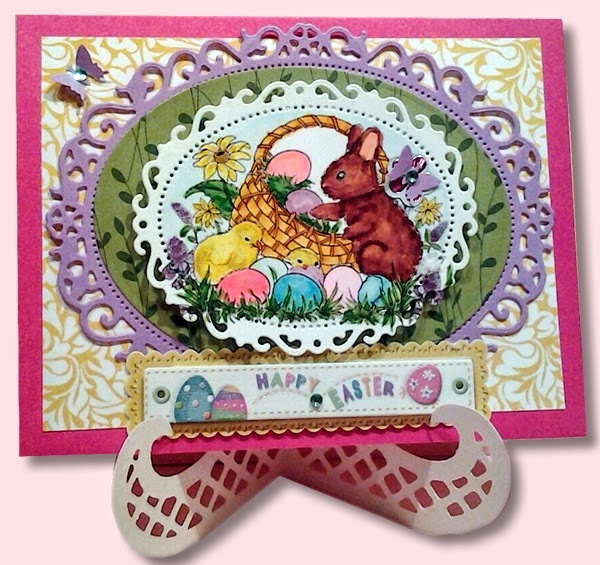 I used my Tim Holtz mini blending tool and pounced white pigment ink in the holes. Be sure to pounce not rub, especially if your background is watercolor. The ink will reactivate the water but pouncing works well. 7. Move the stencil around and start filling in more circles. It is OK to overlap. I made this layer darker by drying and using a second coat. 8. For the final layer I filled in with mostly small circles and used 3 coats of white, drying between coats.